Advance Course- for an extra $5 experience the advance extension course – be prepared to feel the burn! 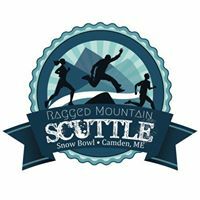 What is the Ragged Mountain Scuttle? 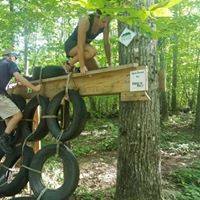 It is an obstacle course race on the Kuller trail at the Camden (Maine) Snow Bowl. Runners/Walkers will enjoy the ragged terrain and a beautiful view at the top. 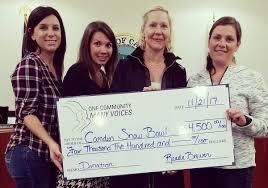 All the proceeds go to supporting the 4th Grade Learn to Ski Program at the Snow Bowl and One Community Many Voices. 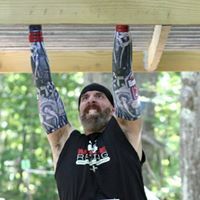 We are not a professional OCR company. This event is made possible because of the generosity of event sponsors and volunteers. 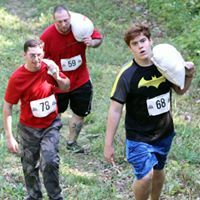 In 2018, roughly 120 volunteers donated 1,300 hours to make this event happen. Children’s Course –If your child loves climbing, jumping and rolling like a Ninja, the children’s course is a must-do experience. It takes place at the base behind the Snow Bowl lodge. Cost is a $5 donation for unlimited use of the course. It’s within view from inside the lodge. Kiddos earn a medal for completing the course. Waved Start- The event will have a few waves beginning every 15 minutes. The first wave is at 9 a.m. and the last wave is at 2:45 p.m.
Arrival- Please arrive 45 minutes before your Wave Start time to register, and get your bib and information. Music, food, children’s course and beer will be available throughout the day. Parking- Parking is available at the Snow Bowl Lodge, at the base of Ragged Mountain, as well as along the road leading to the Snow Bowl.